Colored just like our favorite Sour Skittles, the Orange Crush Bounce House rental is the perfect item to create a splash of color at your next gathering! Need help coming up with a party theme? Why not have a superhero event with this bounce house rental - from Batgirl to the Hulk, this bounce house is sure to be a smash. This colorful inflatable unit has a generous 14' by 16' bounce house area. 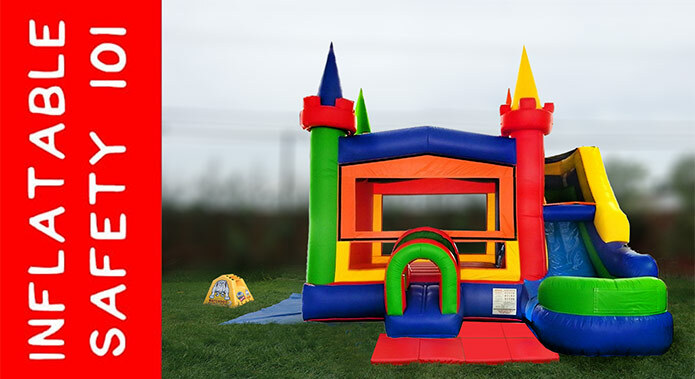 Feel safe when your little ones bounce on this inflatable rental: this bounce house has many safety features, including bounce house entrance ramp safety rails, finger-safe mesh windowed walls around the bounce house so you can better supervise your little jumpers, and an enclosed bounce house roof with safety egress port. Rent the Orange Crush Bounce House for your next event and watch all your guests leave with a smile!